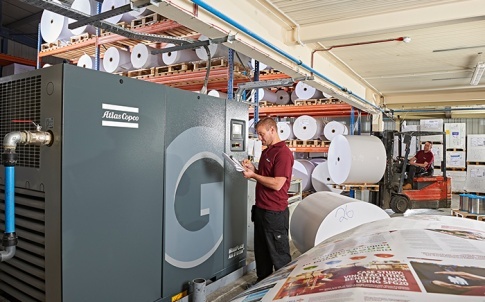 Stef Lievens, Business Line Manager for Industrial Air at Atlas Copco Compressors UK & Ireland, outlines the key steps to follow when specifying a compressor – measures that ensure it is optimised in terms of performance and energy-efficiency. Making sure of the right choice of product, and supplier, will depend on the actual application’s needs for a compressed air supply quantified in terms of compressor size, flow, pressure, air quality and usage patterns. These variables then need to be matched to the available types of compressor technologies and their relative performance in terms of output, energy-efficiency and total cost of ownership. – What is the application? – How much flow does the process use? – What pressure is needed within the system? – What air quality is needed? Is there a need for dryer and filters, or an oil-free solution, to ensure a clean and dry air supply? – How many hours per year will the compressor operate? – What is the daily shift pattern? – Should Variable Speed Drive (VSD) technology be considered, to cope with flow demand fluctuation? – Is heat recovery a consideration? – Are there any plans for future expansion? – What size compressor is needed? When comparing like for like in a replacement scenario it is necessary to have at hand all the application and usage information in order to size the machine correctly − and for comparison purposes, always ‘go with the flow’. Understanding the flow and pressure requirements for any installation is key. This correlation is important to bear in mind when determining the required size of a compressor based solely on its rated motor power. For example, a basic 7 bar compressor driven by a 15 kW motor will deliver air at a maximum volume of approximately 45 l/s, but a 10 bar version will deliver only 37 l/s from the same power unit. An increase in working pressure by 1 bar increases the power requirement by approximately 6 per cent. Also bear in mind competitive suppliers’ kW ranges are not always directly comparable. Under-sizing a compressor is likely to result in pressure drops and inability to complete a task, while oversizing the unit can lead to future mechanical problems and, in either case, can lead to excessive energy demands from the system. What type of compressor is needed? – Piston compressors: Of the most popular options available, the most economical and relatively inexpensive type of air compressor is the piston or reciprocating machine. The majority of small-to-medium piston compressors, which commonly range from 0.55 to 15 kW and can be either oil-lubricated or oil-free machines, are available in a number of product variants to match the exact needs of a wide range of end users. They can be supplied either as standard base units, trolley or receiver mounted, or as a complete compressed air station that includes a refrigerant air dryer as well as pre-wired starting and regulation equipment. – Rotary screw compressors: In rotary screw compressors the length and pitch of the twin rotor screw element, as well as the form of the discharge port, collectively determine the pressure ratio. Beyond that, there are no valves or other mechanical forces that can cause unbalance, which allows a screw compressor to operate at high speeds while combining a large flow rate with small exterior dimensions. 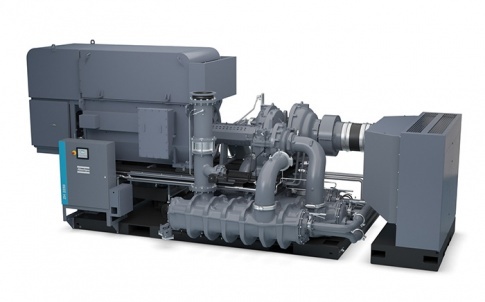 Rotary screw compressors typically are used for continuous, workplace and industrial applications and are available in two primary versions, oil-free and oil-injected with options of fixed speed or variable speed drive operation. – Vane compressors: The operating principle for a vane compressor is the same as for many compressed air expansion motors. The vanes are usually manufactured of special cast alloys and most vane compressors are oil-lubricated. A rotor with radial, movable blade-shaped vanes is eccentrically mounted in a stator housing. When it rotates, the vanes are pressed against the stator walls by centrifugal force. Air is drawn in when the distance between the rotor and stator increases. The air is captured in the pockets between the vanes, which decrease in volume with rotation. The air is discharged when the vanes pass the outlet port. When equipment replacement is proposed, conducting energy audits is seen as the definitive approach to identifying trends, establishing performance levels, and installing energy-efficient solutions where needed. A walk-the-line compressed air assessment is the simplest and most cost-effective way to gain a better understanding of a compressed air system’s status. Visual checks, carried out on the supply side of the compressor room as well as the demand side or the production floor should include inspection of the compressor, dryer, filtration, and condensate drains, as well as the pipework system and its configuration. Walkthrough assessments may also reveal the need for a full air audit using data loggers to provide an insight of the compressed air utilisation within a given system. 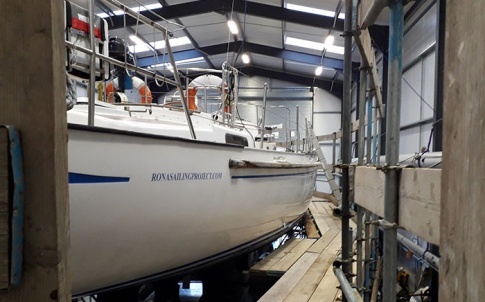 Data loggers are attached to the compressor for a minimum of 7-14 days to observe and record any trends and demand fluctuation throughout the normal week days as well as over the weekend. Audit results provide a good understanding of the actual compressed air usage over a period of time, identifying peaks and troughs in the air demand pattern and ways to improve the overall efficiency of the system. 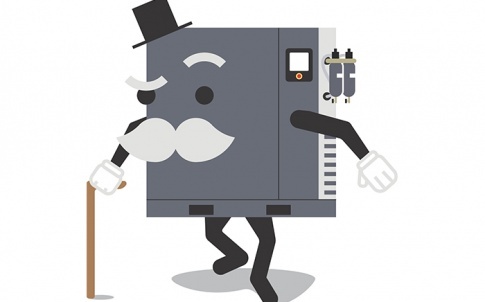 While this article deals with matters related to compressed air equipment ownership, there is an alternative school of thought that asks, in specific circumstances, why buy a compressor when all you need is air? Recently introduced, there is now a pay-as-you-go compressed air scheme, which is designed specifically for customers who may experience periodic extra usage demands or have limited capital reserves at their disposal. 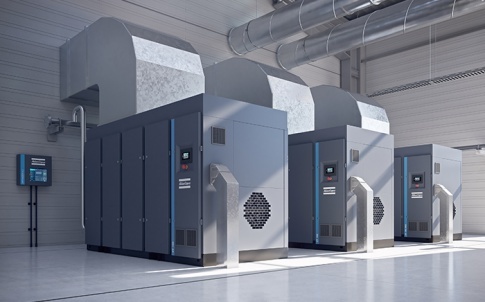 Contract air embraces the latest energy-efficient air compressors and predictive maintenance technology, backed up by full after-sales service support, to provide end users with a guaranteed and reliable compressed air supply under a flexible agreement. Customers only pay for what they use. A monthly fixed service charge and a variable compressed air usage fee, measured by a smart technology remote monitoring system, enable users to plan and manage their operational costs according to current needs and budgets. A contract air agreement covers the installation of all the equipment needed for a complete compressed air solution based upon a VSD rotary screw compressor that is capable of delivering average energy savings of 50 per cent compared with fixed-speed alternatives. 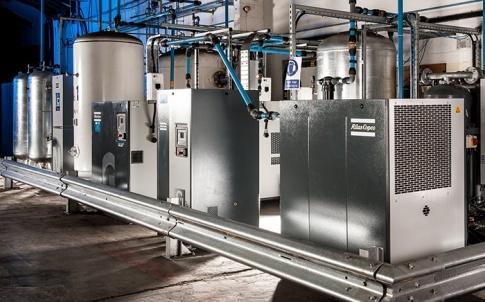 The scheme includes ancillaries such as dryers, filters, air receivers, condensate drains, oil-water separators and a modular alloy pipework system. Parts, service and breakdown cover during working hours are included within the fixed monthly fee. This eliminates any unexpected or hidden costs for unforeseen repairs. On-time preventive maintenance is provided by expert engineers who only use genuine OEM parts to assure uninterrupted performance at optimum efficiency. In addition, equipment can be upsized or downsized where necessary, with the option to exchange for alternative capacity units; or even return them at the end of the contract period. Atlas Copco Compressors is a leading manufacturer of energy efficient compressed air systems and vacuum pumps. In the UK the company offers a nationwide sales, service and distribution network and specialist compressed air advice and service to UK compressed air and vacuum users. Our product portfolio covers oil-free air compressors, oil-lubricated air compressors, centrifugal compressors, high-pressure compressors, vacuum pumps, blowers, engineered air and gas compressors, nitrogen generators; air treatment equipment such as dryers, receivers, and air line filters, as well as aluminium pipework for compressed air, nitrogen, oxygen and other gases.